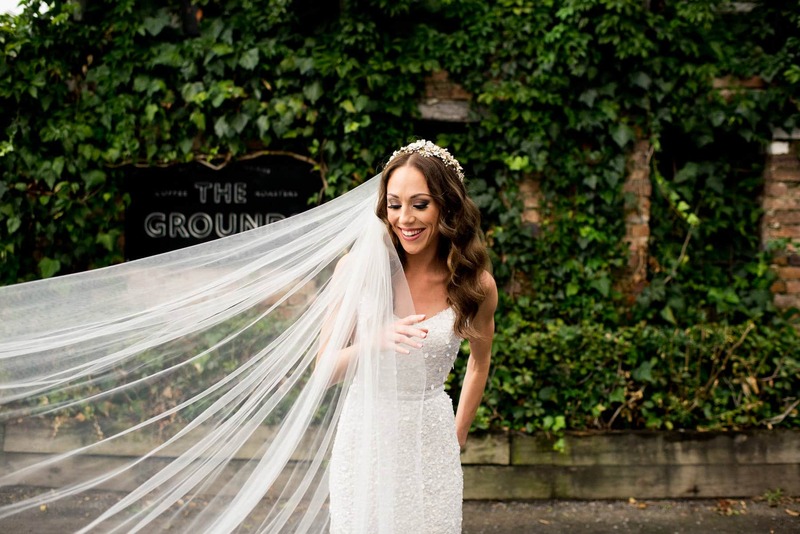 I’m privileged to be a recommended wedding photographer at the Grounds of Alexandria, and absolutely love shooting there. 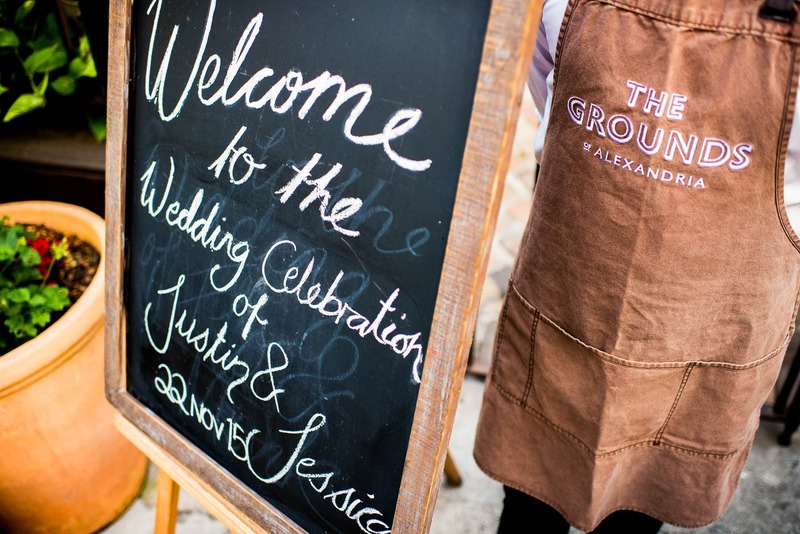 If you’re reading this, you probably already know that the Grounds of Alexandria is a great location for a wedding, with beautiful, quirky rustic styling, delicious food and friendly and helpful staff. 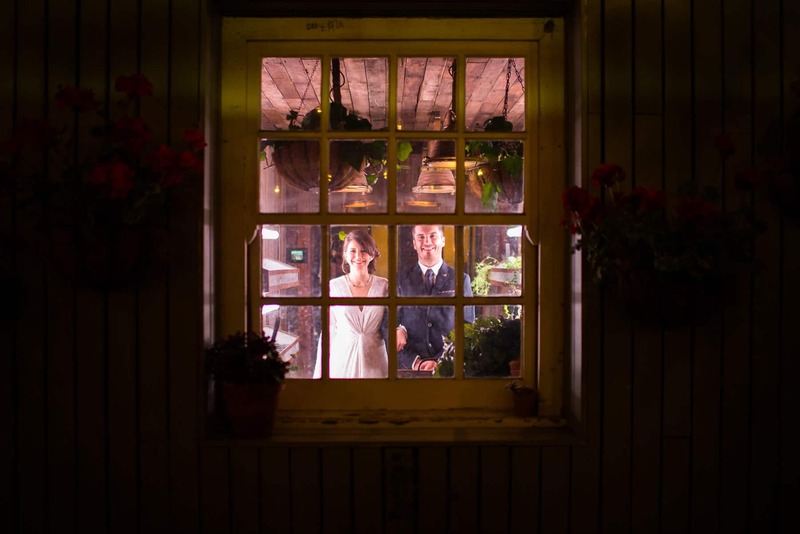 I’ve also been the photographer for weddings at The Atrium on many occasions too, the other awesome venue on the site of the Grounds. Whenever my mum visits from England, we always take a walk to the Grounds for breakfast (I live just around the corner). 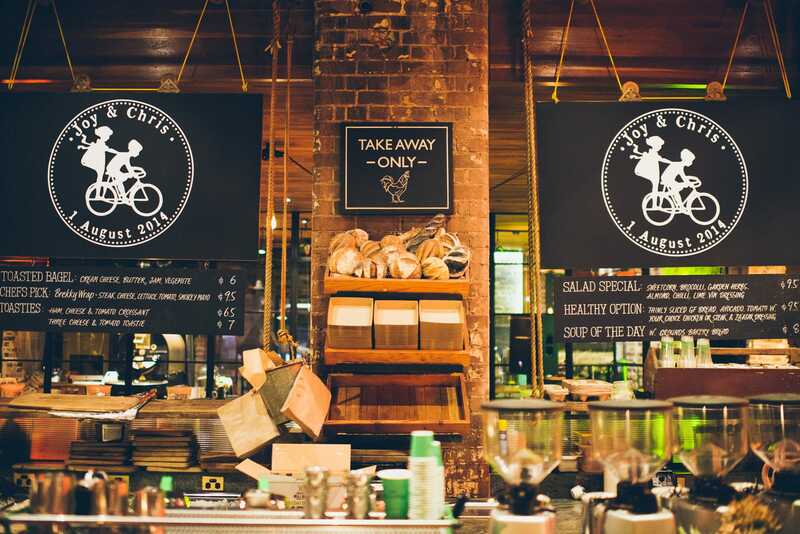 She’s pretty critical with her food, but the Grounds of Alexandria is one of the few places near us that she really rates… and that’s saying something! 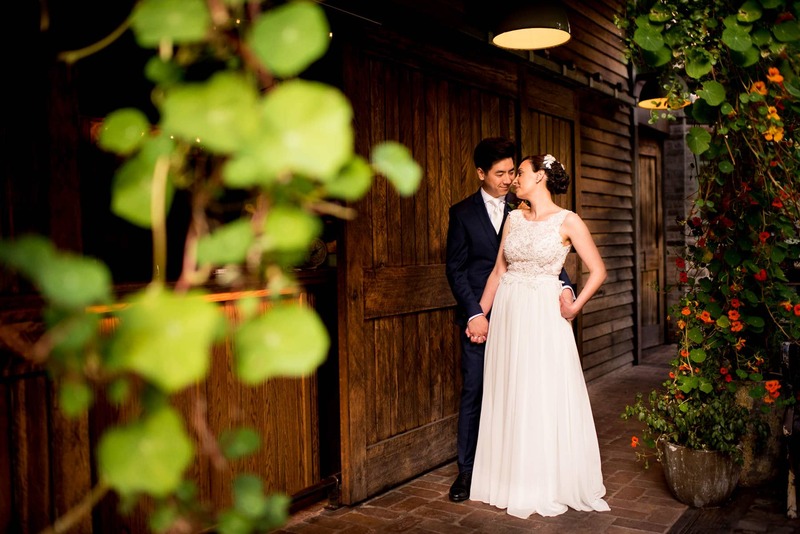 To take full advantage of all the photography locations and the varied lighting in the Grounds of Alexandria, it’s important to hire a wedding photographer who is familiar with the venue. 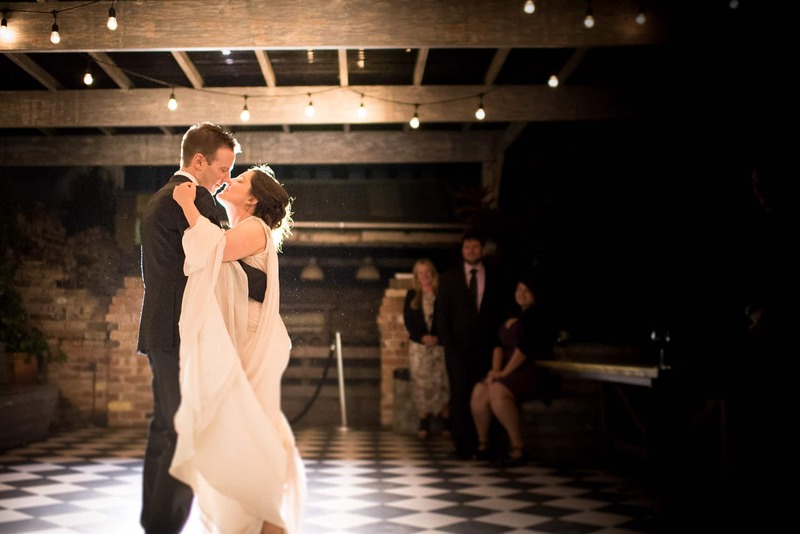 So if you’re interested in booking an experienced Grounds of Alexandria wedding photographer who knows the venue well but will still create original wedding photos for you, click here to get in touch with me today. 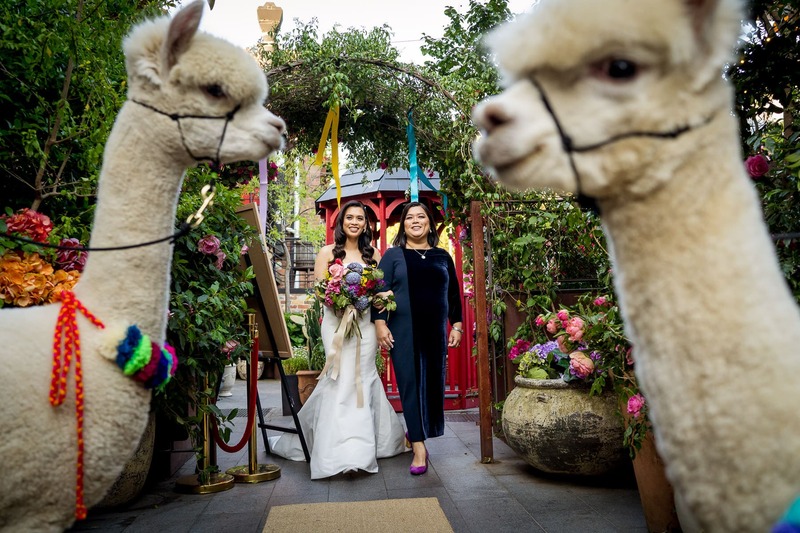 There are many quirky features that make weddings at the Grounds of Alexandria a lot of fun, not to mention a great location for wedding photography. You should still be able to find Bradley the lamb, Tony the pony and Goldy Horn and Margoat Robbie the goats roaming around though! 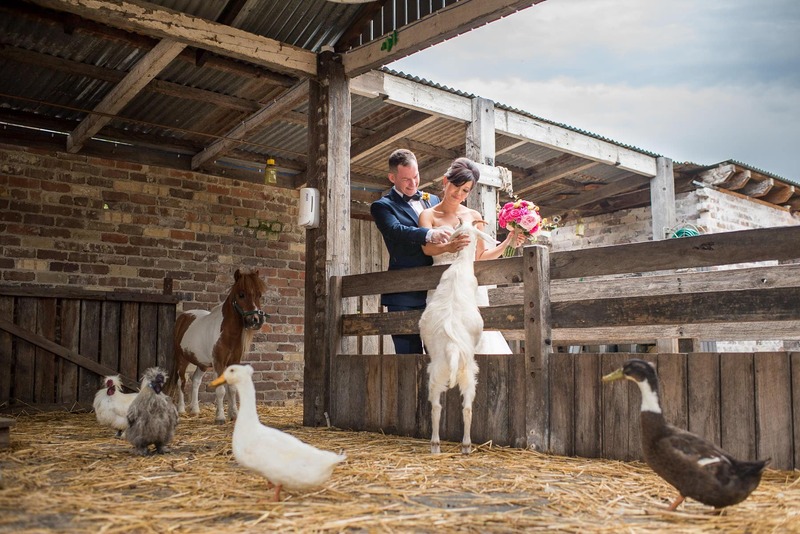 You’ll probably not want to get too close to the farm animals in your wedding dress, but that doesn’t mean we can’t have them in some of your photos! 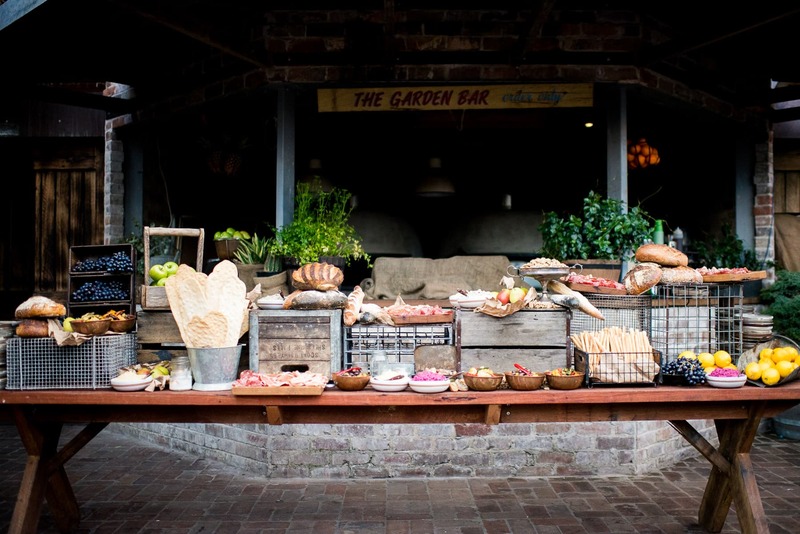 As anyone who’s queued for hours on the weekend can attest, the Grounds of Alexandria serves incredible food. 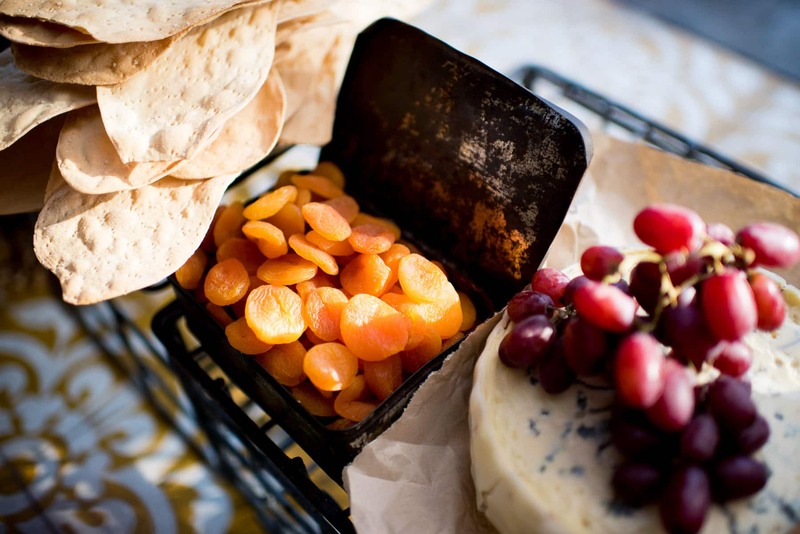 Apart from the delcious main courses and roaming platters, the wedding smorgasbord in particular blows me away every time, with beautiful styling and delicious hors d’oeuvres. 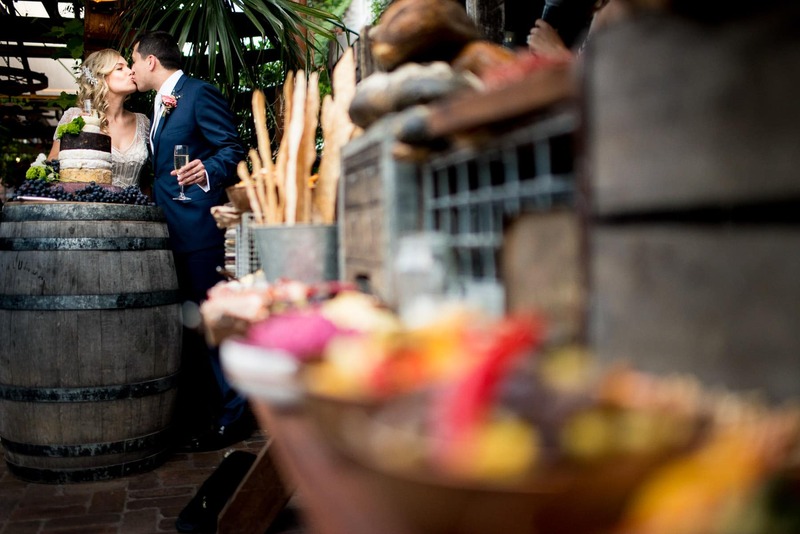 The food is an important part of your wedding reception, so I’ll make sure to capture it with my camera before you gobble it up! 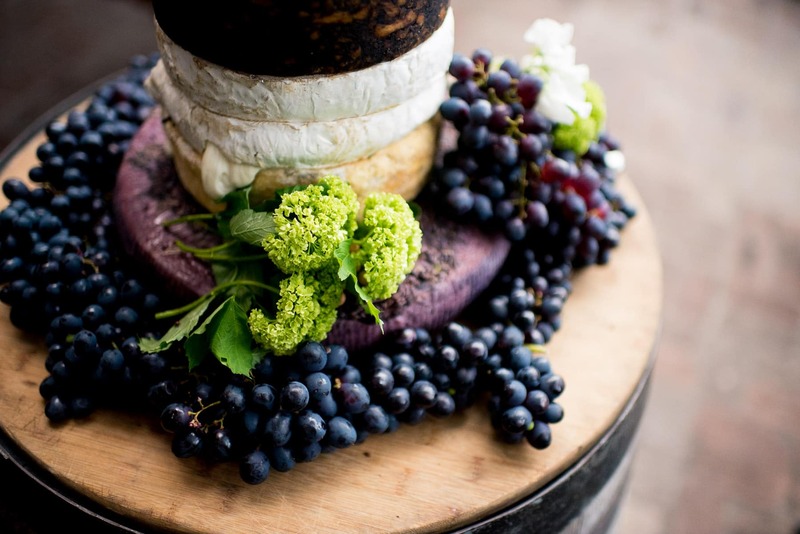 Recently it’s also been popular to shun the traditional wedding cake in favour of something a bit different… although cheese can be a bit of a smelly option! 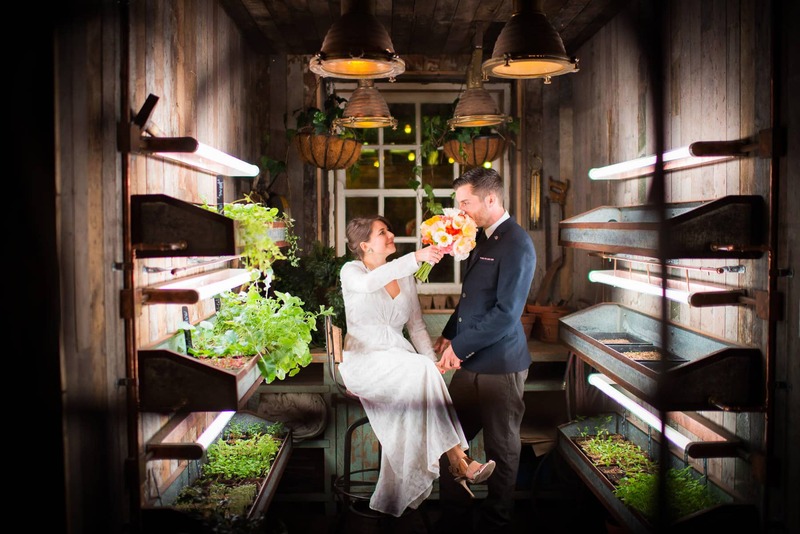 The theme of the Potting Shed is gardening, so wait until you see their cocktails! 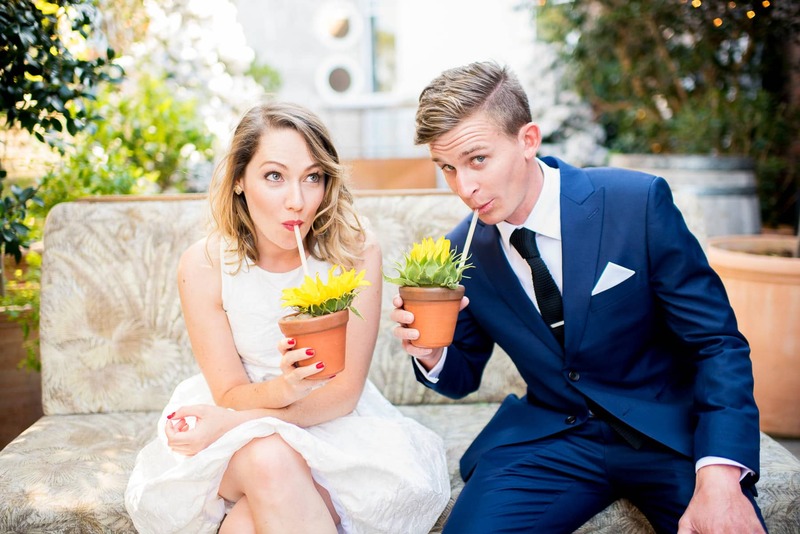 Whether you get married at the Atrium or the Grounds of Alexandria itself, don’t forget to put in your flower-power drink order! 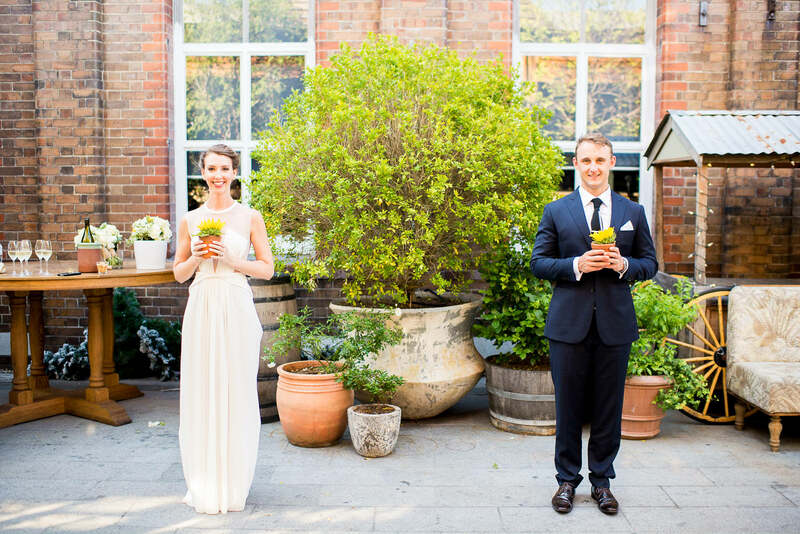 The styling at the Grounds of Alexandria really is second to none. 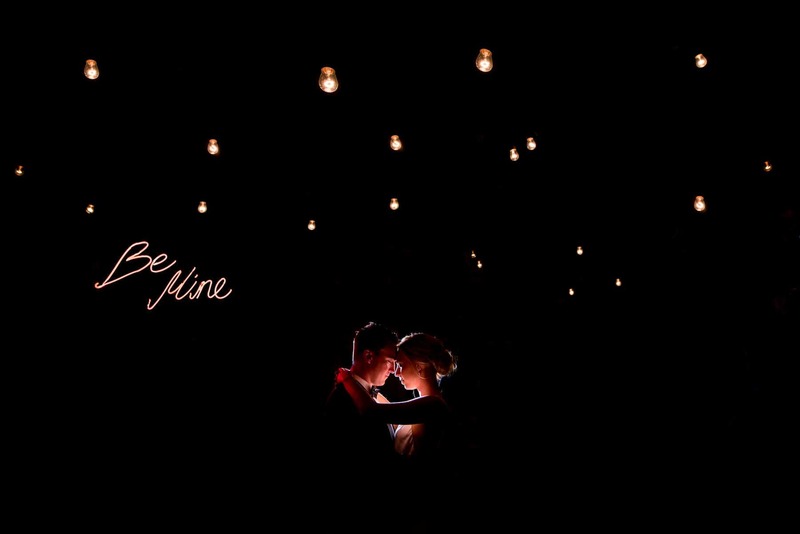 It’s one of the main reasons why I love shooting weddings there. 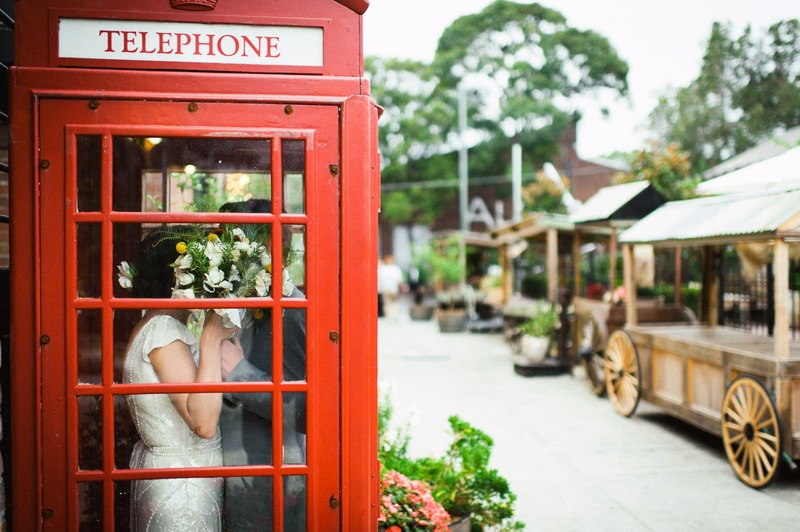 Aside from the rustic styling including the animal pen, the fruit carts and the iron benches, the Grounds of Alexandria also features quirky features like the bright red London phone box and a beautiful cascading fountain. The iconic fountain in the Grounds’ garden provides some unique reflection opporunities when the water is still. I do my best to capture your favourite stylistic elements in a creative and original way at every Grounds of Alexandria wedding. Don’t tell the staff, but I’ve also been known to climb up the fountain to get a more interesting perspective! One of these days I’m bound to fall in it…! 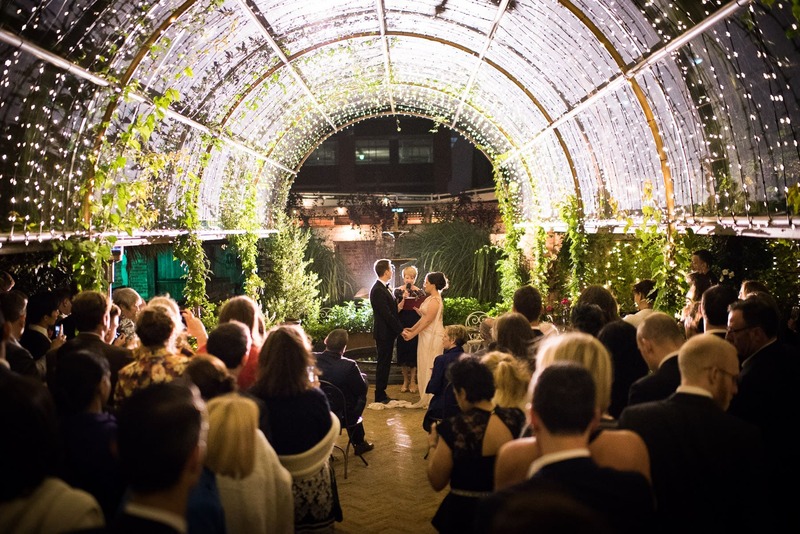 A popular spot to do the official signing of the wedding register is in the beautiful vintage greenhouse, another stylistic element that manages to transcend mere ‘rustic prop’, but rather blending in perfectly with the rest of the Grounds of Alexandria garden. Another thing that should be mentioned about the Grounds’ styling is that each season or commemorative day, various changes are made to suit that particular time of year. During Halloween you’ll see hundreds of (real) pumpkins dotted around the gardens; at Valentine’s you’ll find cages of (love) birds tweeting their song; and of course at Christmas the Grounds of Alexandria will be lit up with real pine Christmas trees. 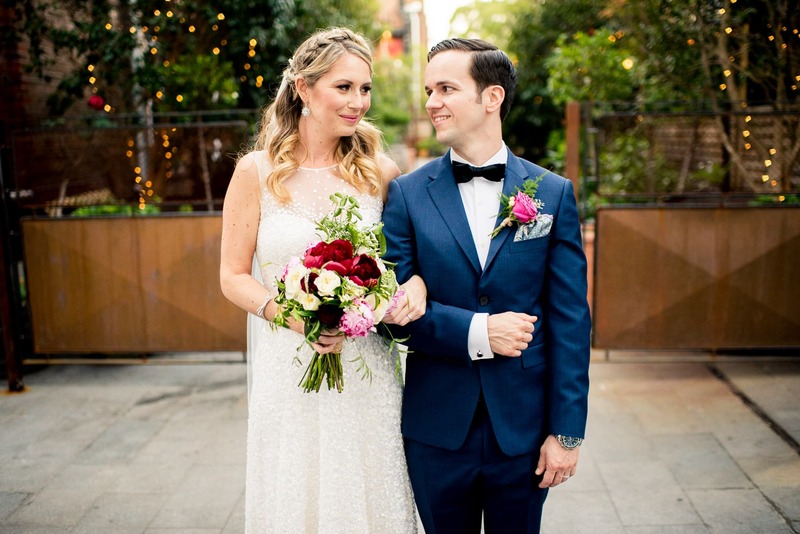 Couples who get married at the Grounds of Alexandria usually have great taste in styling that complements the existing look of the venue. 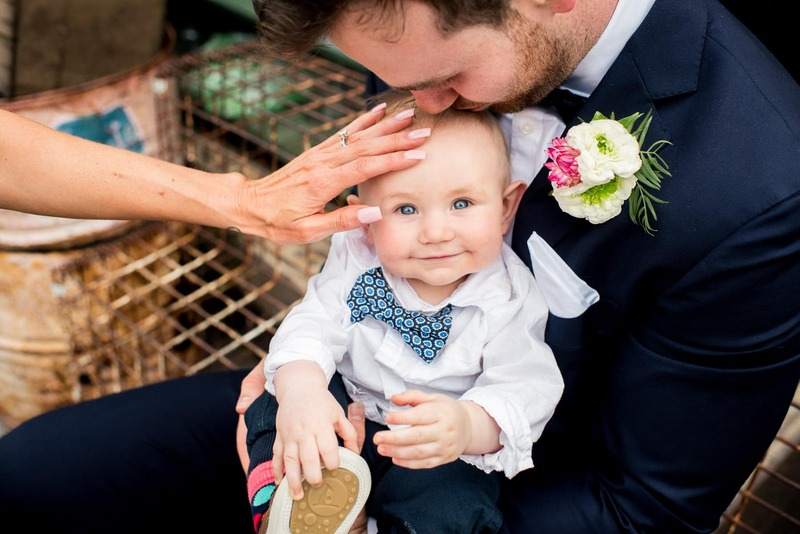 Whilst weddings are about using natural wedding photography to capture magical moments, it’s also important for me to take photos of the details. This includes all the elements that have taken you so much time and thought to prepare. 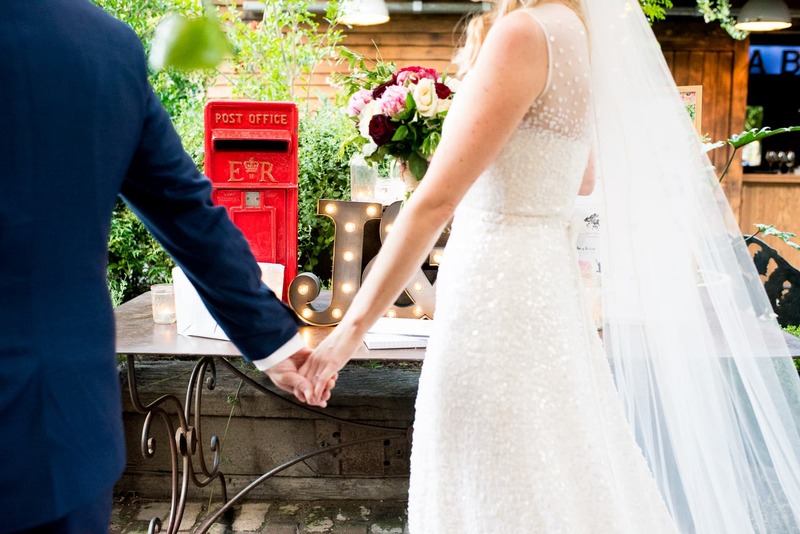 Styling and detail photos are also an important part of your wedding album, adding to complete the story of your wedding day. 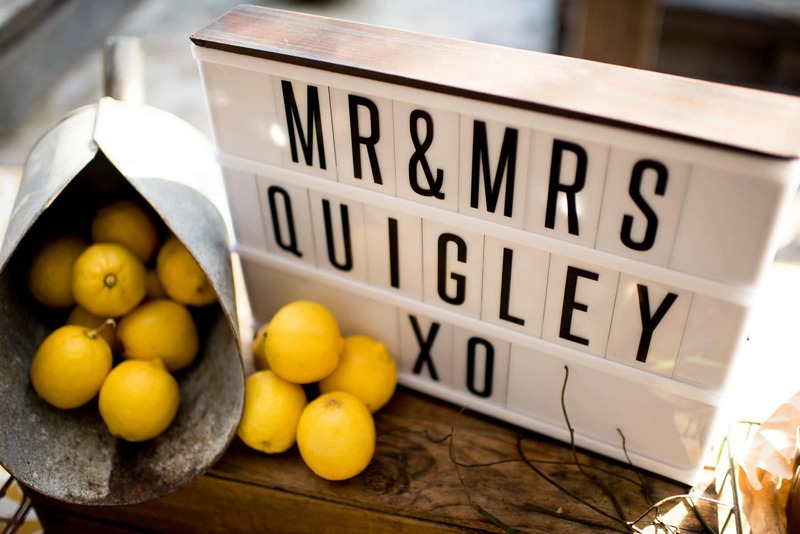 If you’d like to learn more about the fine art wedding albums I offer and what is included in each Wedding Collection, click here to get in touch. 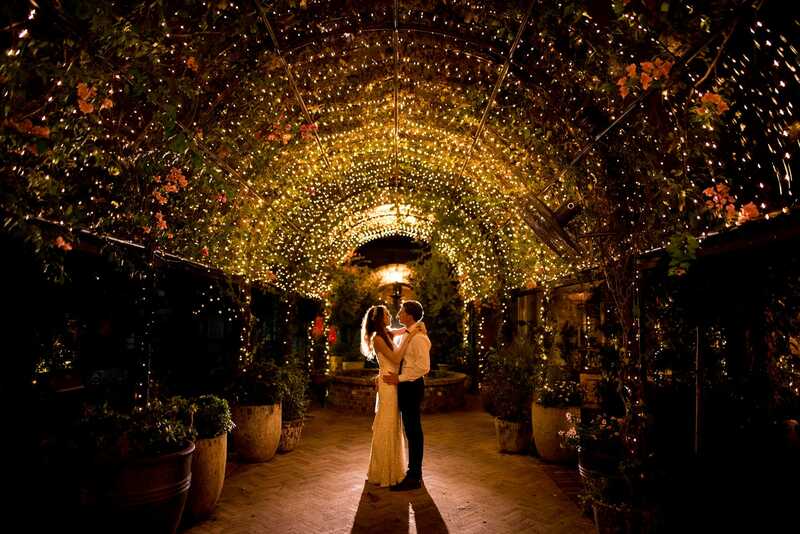 The picturesque lighting is undoubtedly one of the main reasons brides and grooms choose to get married at the Grounds of Alexandria. 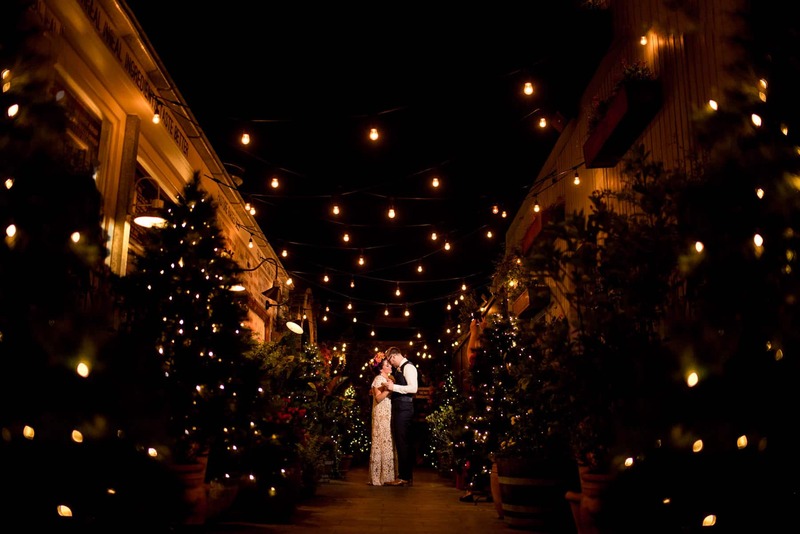 Whether your wedding is in the Grounds of Alexandria or the Atrium, we can always take photos in the central corridor between the two main venues, which is lit by hanging carnival lights. 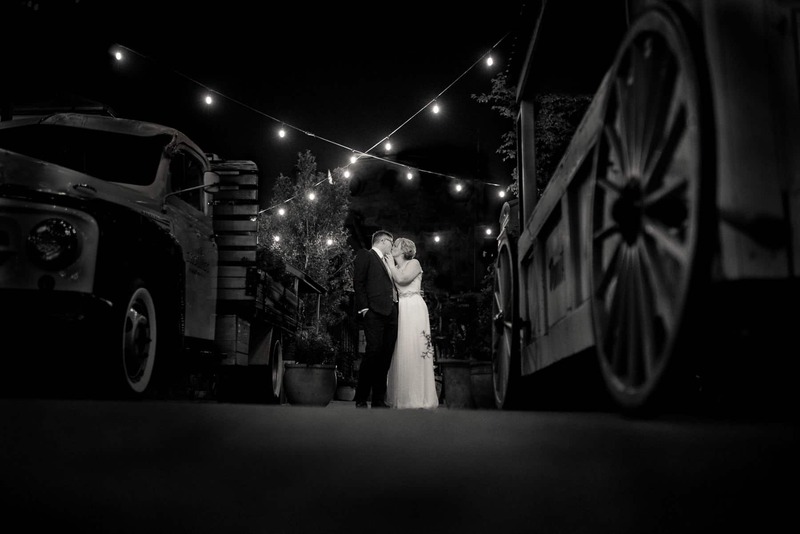 I always make sure to include one night photo so you can remember how beautiful the venue looked on your wedding day after dark. 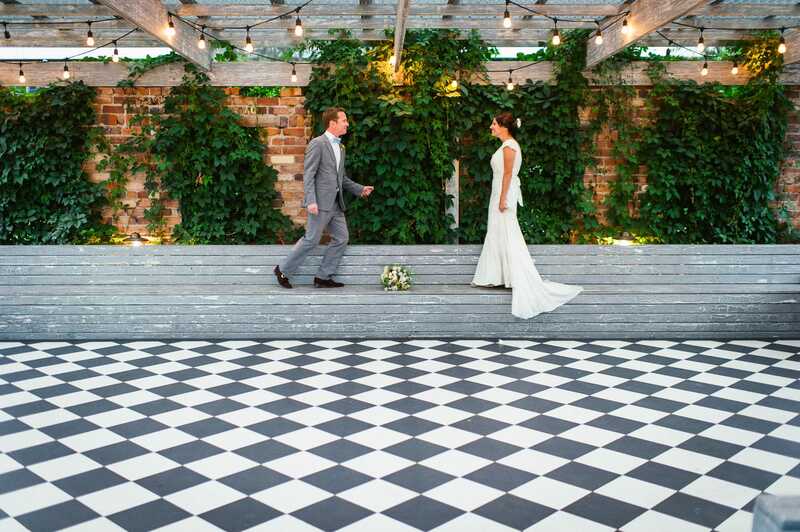 If you’re getting married in the actual garden of the Grounds of Alexandria, you’ll probably want to take advantage of the amazing fairy light lit atrium, but don’t forget that there’s also a nice area at the back with carnival lights, red brick walls, exposed rafters and an awesome checkered floor. 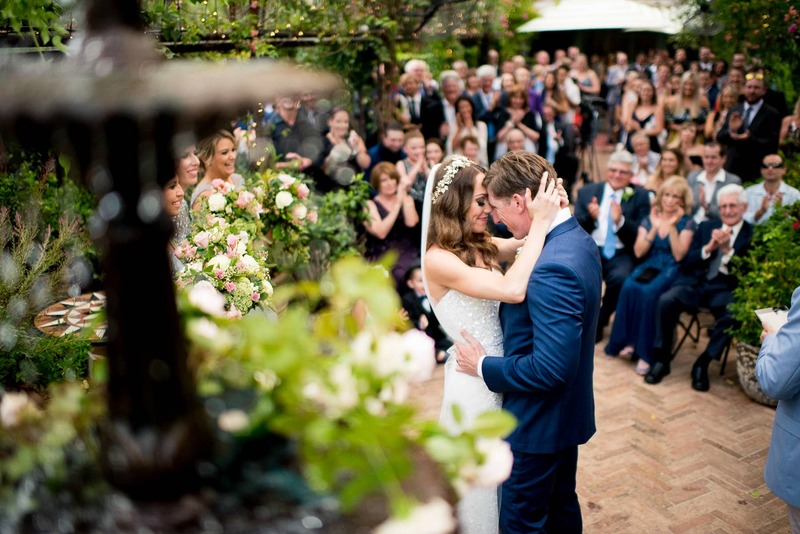 Most couples just can’t resist the allure of the main atrium for their first dance though, and who can blame them! 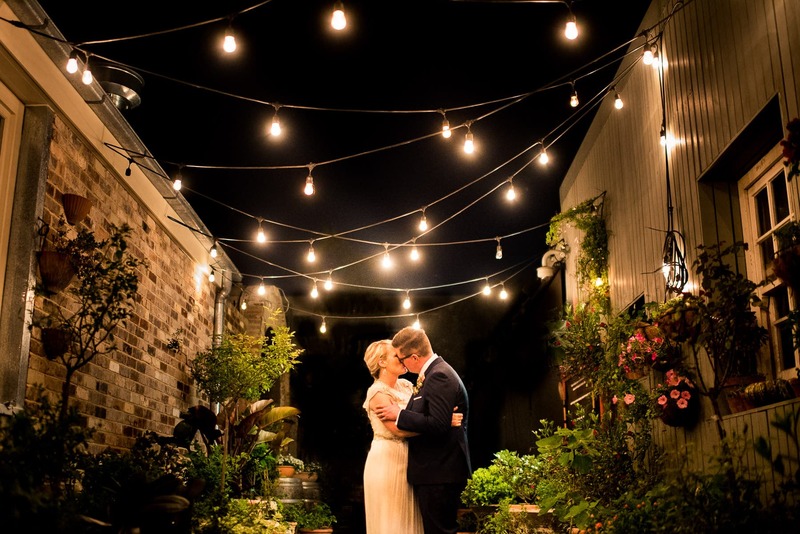 The beautiful lighting of the Grounds of Alexandria makes for some incredible wedding photos, and it seems that every corner you turn there’s an interesting light just waiting to be used in a novel way for a picture. 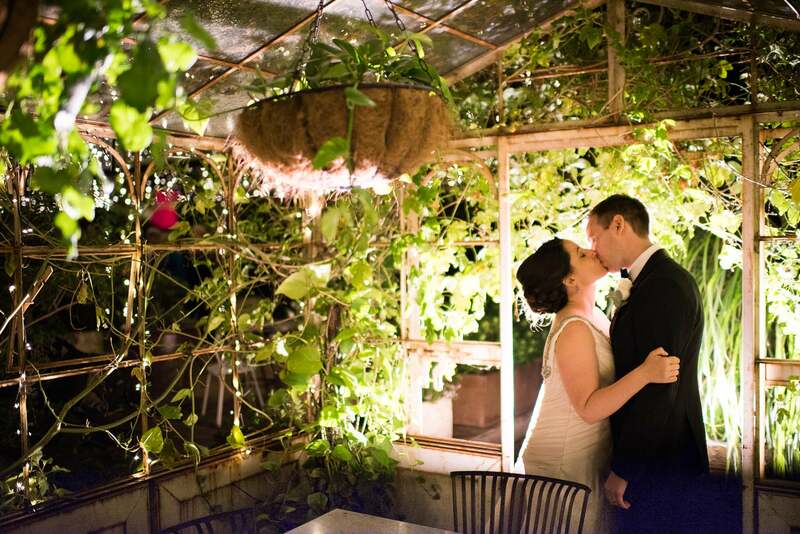 I really enjoy working with the couples who book me as their Grounds of Alexandria wedding photographer. 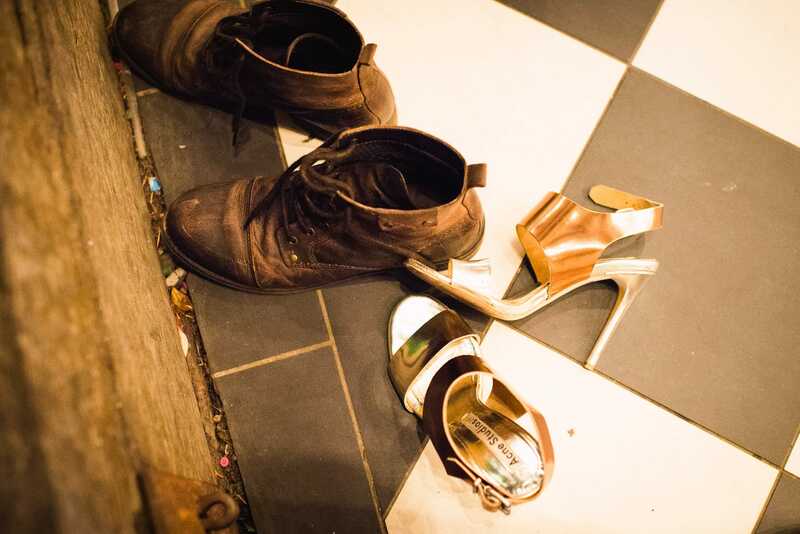 We always have a lot of fun using the various stylistic elements of the location to our advantage with the photos. 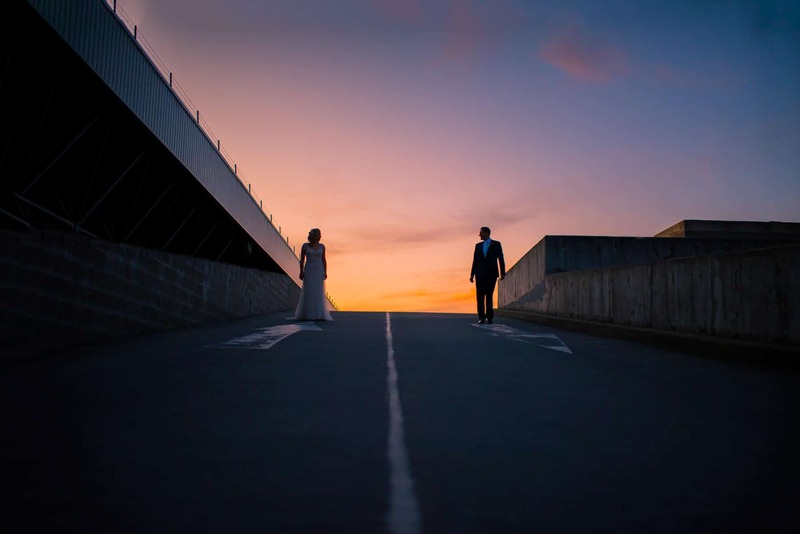 Couples who favour the Grounds of Alexandria over, say, a regular church or restaurant wedding are usually slightly quirky and I like to try and bring this out with their wedding photography. 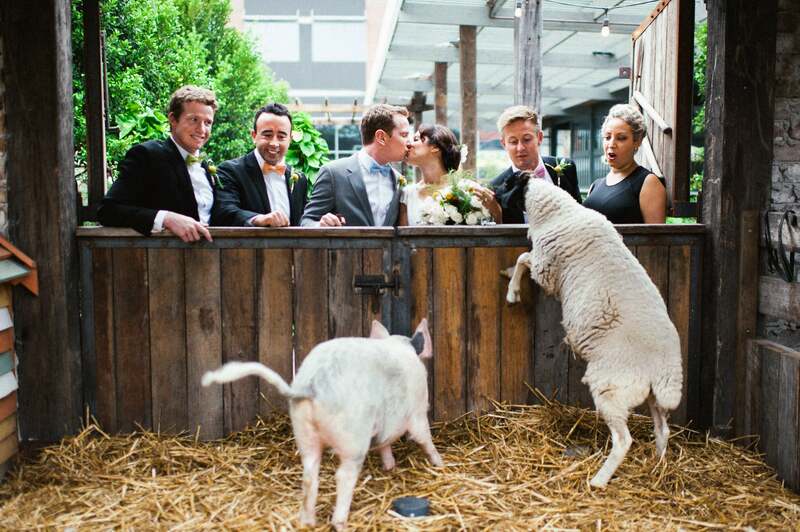 They’re the kind of couples who prefer to go against the grain and do something a bit different with their wedding. 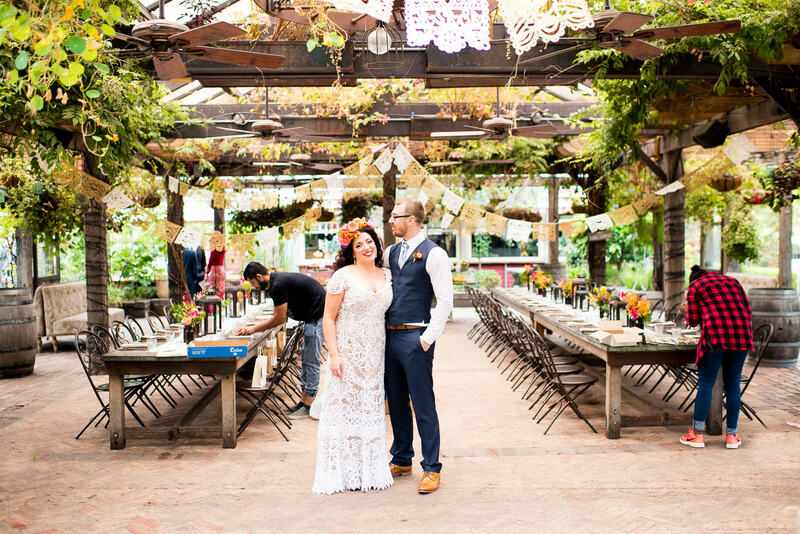 They still value the traditions of a wedding ceremony, but choose to move away from the norm with their choice of venue and styling. 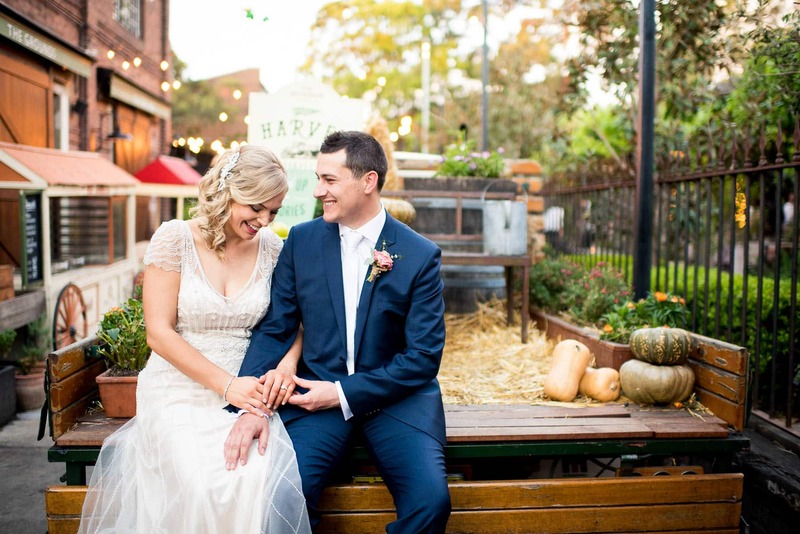 In my experience, couples who get married at the Grounds of Alexandria have relaxed, fun and easy going personalities, and this ties in perfectly with my natural wedding photography style, and I like to think my own personality too! 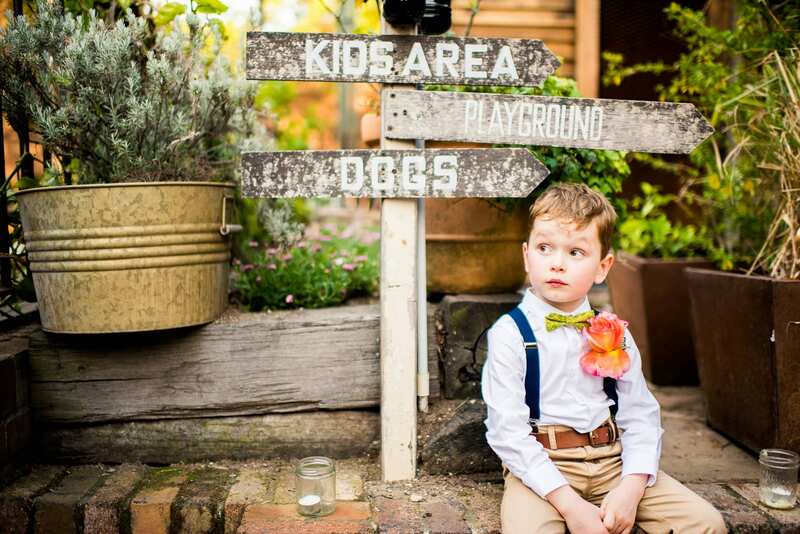 The best-dressed kids always seem to be at Grounds of Alexandria weddings! 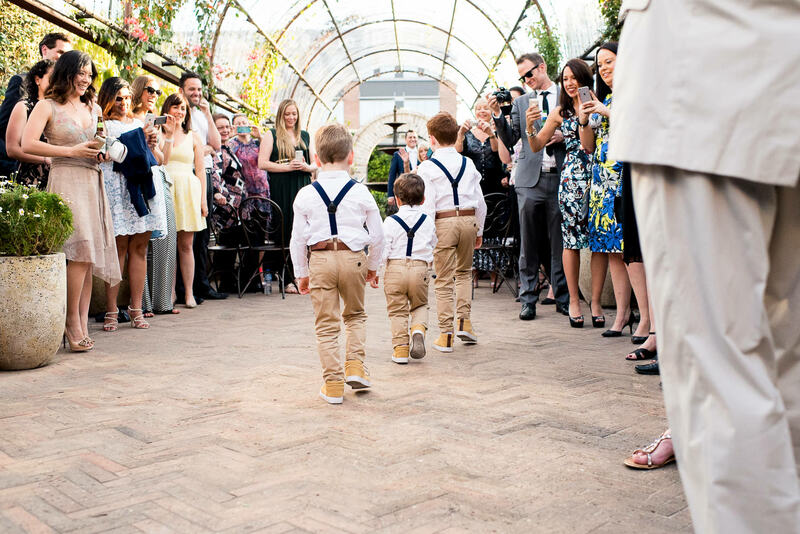 I try and take my own styling cues from the little fellas – just look at these snazzy dressers! 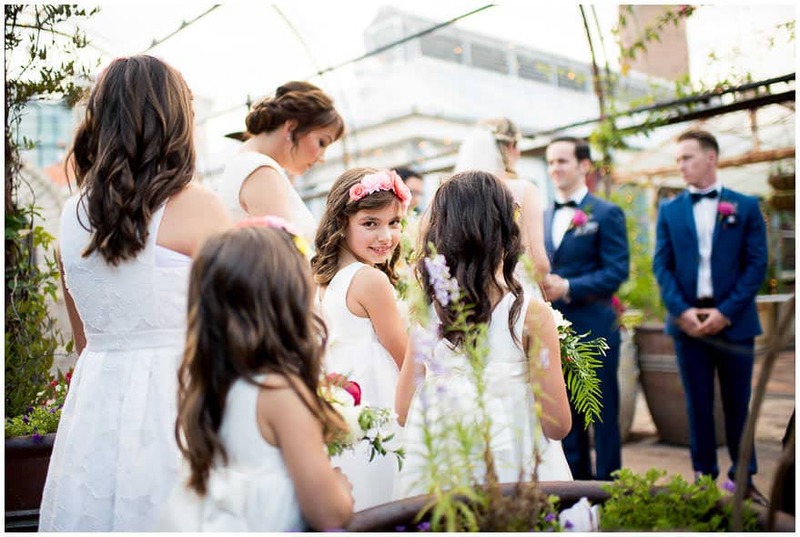 From ring bearers to flower girls, the mini bow ties and suspenders for the boys and pastel flower crowns for the girls complement well with the scenery of the Grounds. 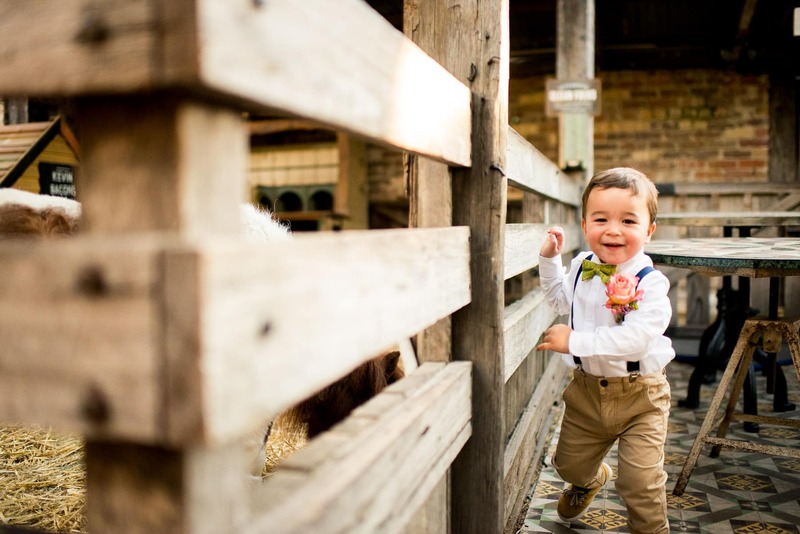 The passageway under the atrium makes for an exciting entrance for your mini ring bearers, and I always try and get a shot that shows your guests’ reaction to their ridiculous cuteness! 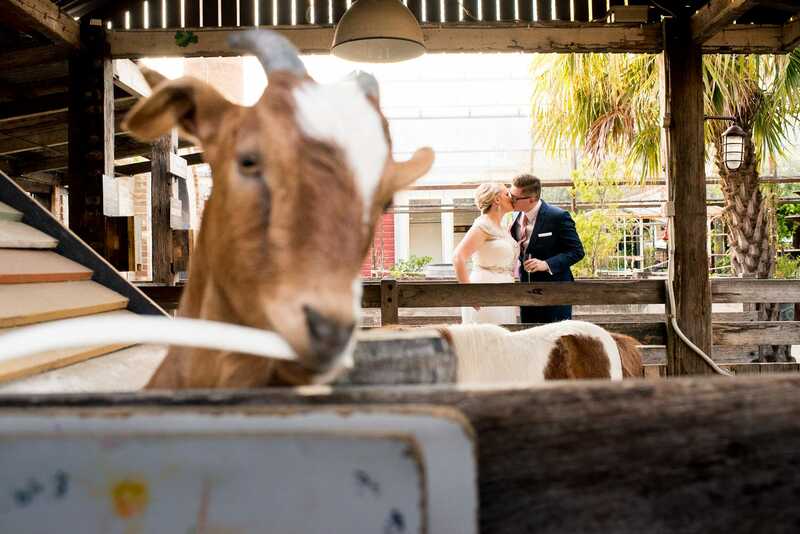 Kids also love the Grounds of Alexandria farm-house styling, and of course those friendly animals too! 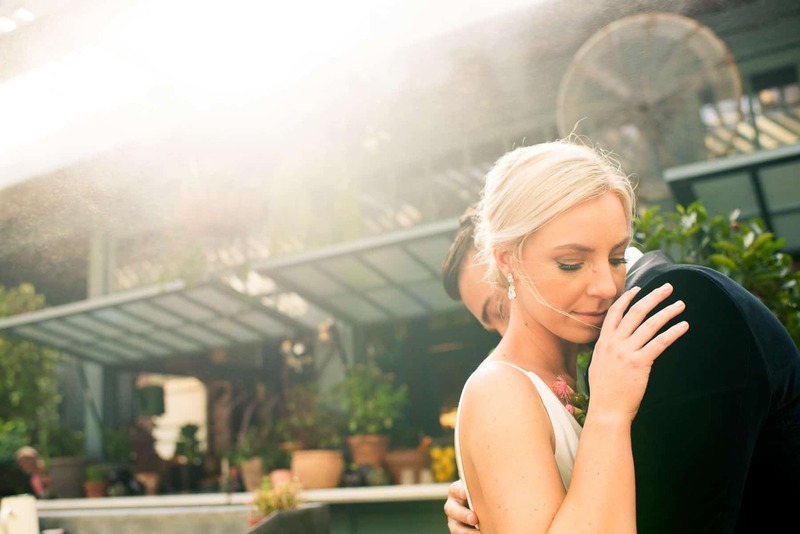 With so many great locations for wedding photography outside at the Grounds of Alexandria, it’s easy to forget about the amazing indoor venue of the cafe itself. 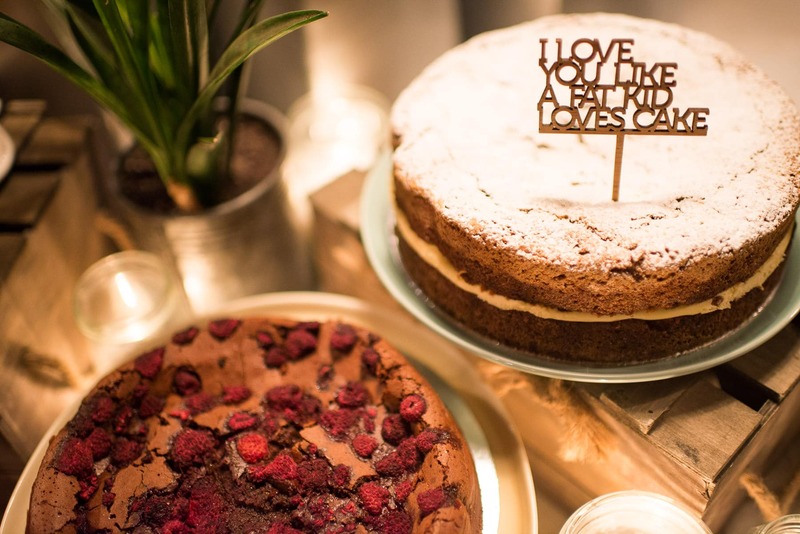 It’s often more popular to use the interior during Winter weddings, with the ceremony taking place somewhere outside, then the reception indoors where it’s more cosy. 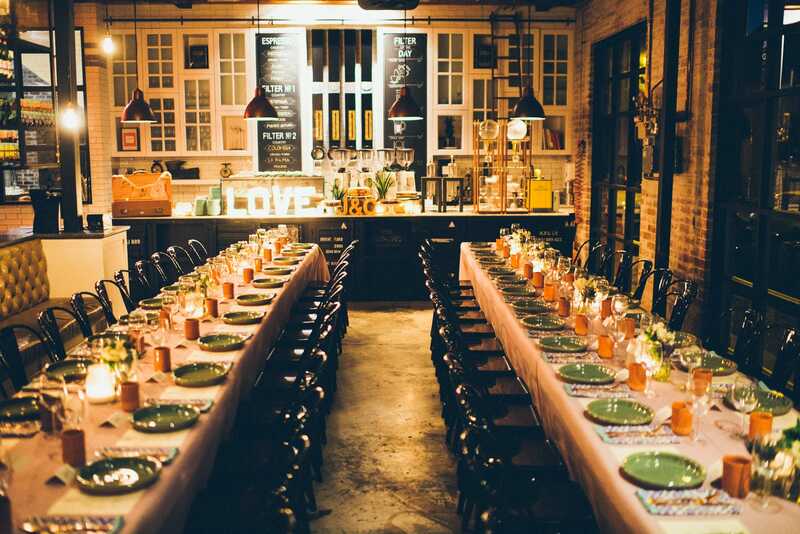 As with everything at the Grounds of Alexandria, the styling is amazing, and you’ll really have little need to decorate the venue for your wedding. 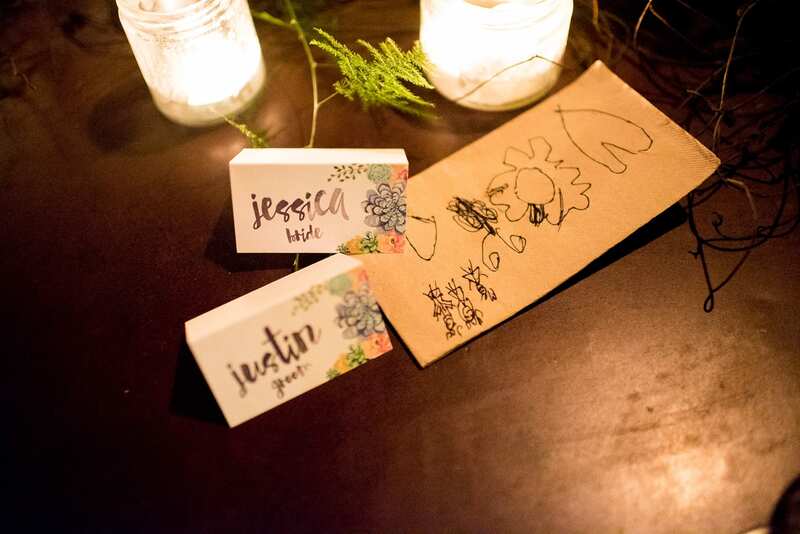 It’s still nice to add your own touches though, in keeping with the quirkiness of the venue. 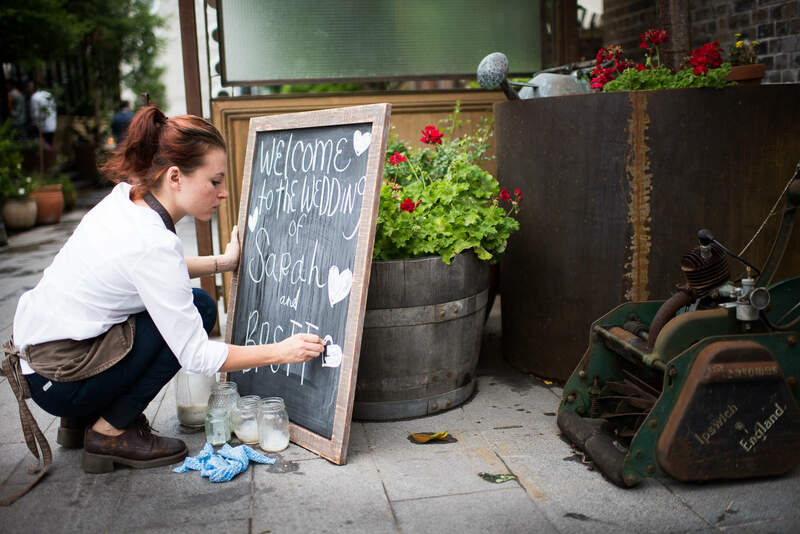 A wedding venue is nothing without the people working behind the scenes. 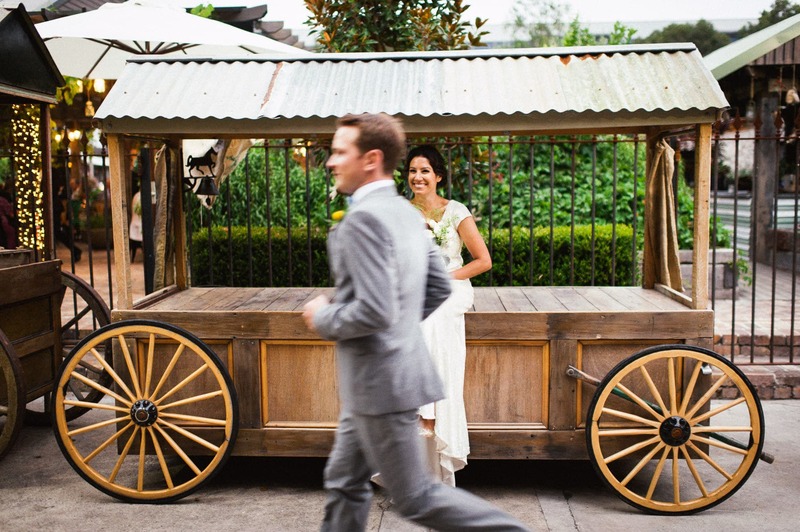 At the Grounds of Alexandria, the staff work hard to keep the place running like clockwork and this is especially so on your wedding day. 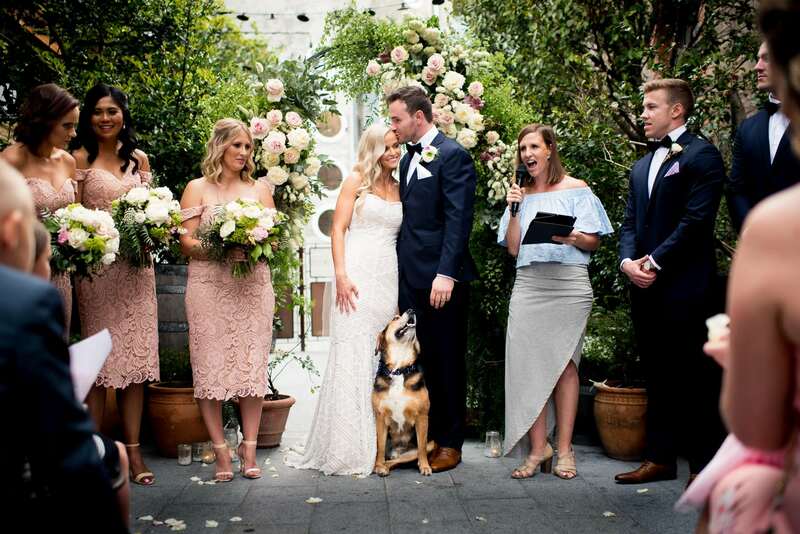 Every wedding speech I hear at the Grounds of Alexandria includes the kindest words for the staff at the Grounds, whether it’s their help with organisation, their attentive service, or simply their willingness to bend the rules to accomodate almost anything (even pets!) 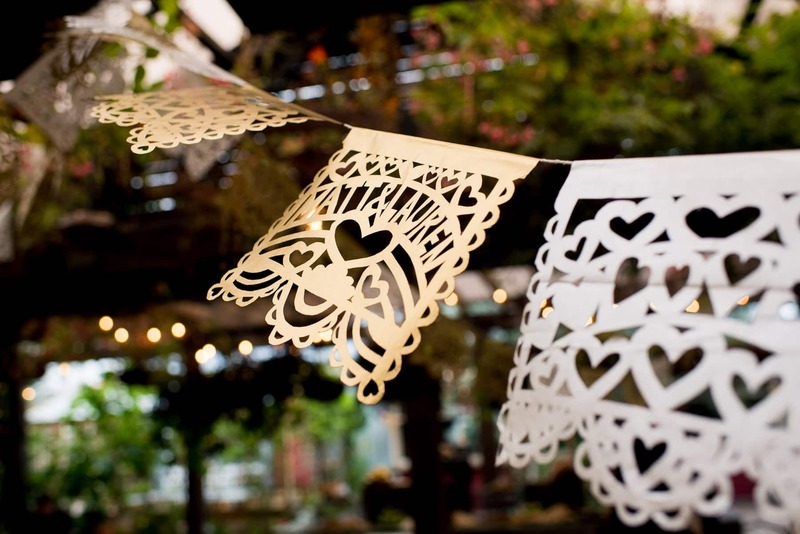 into your wedding day. 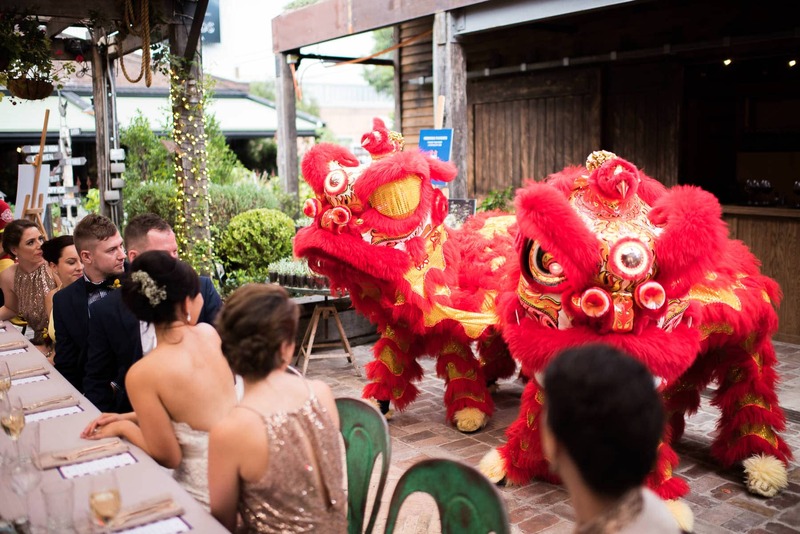 I’ve seen everything from grand pianos to Chinese lions being brought in for Grounds of Alexandria weddings, and the staff are always on hand to help make everything run smoothly. 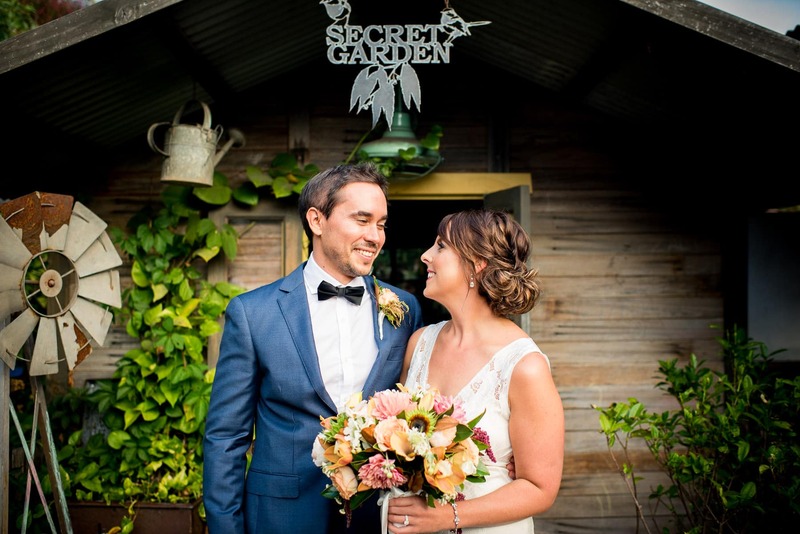 Whether your wedding coordinator is Bethan, Louise or any of the other amazing Grounds staff, you’ll be in great hands, allowing you to relax and enjoy your special day. I approach every Grounds of Alexandria wedding with fresh eyes, but I try not to neglect the iconic photo spots. 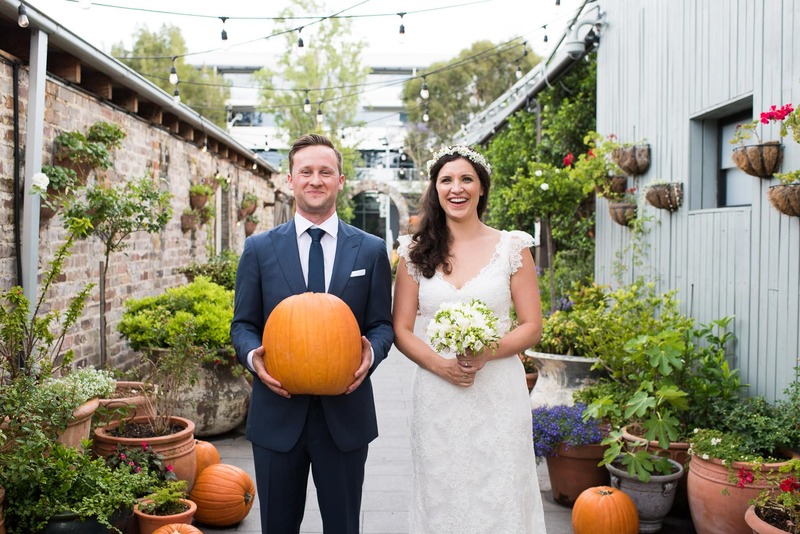 Couples who get married at the Grounds of Alexandria are proud of their choice in wedding venue, (and rightly so! 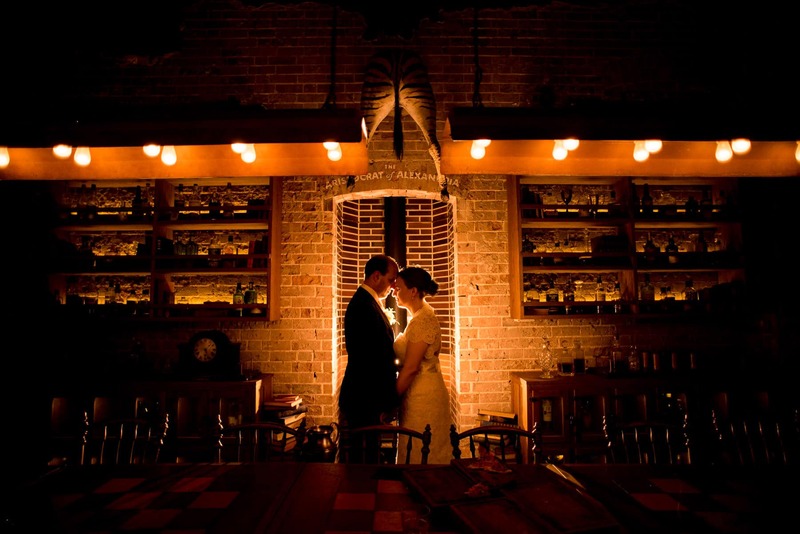 ), so I won’t forget the photos that help to document clearly where you got married. 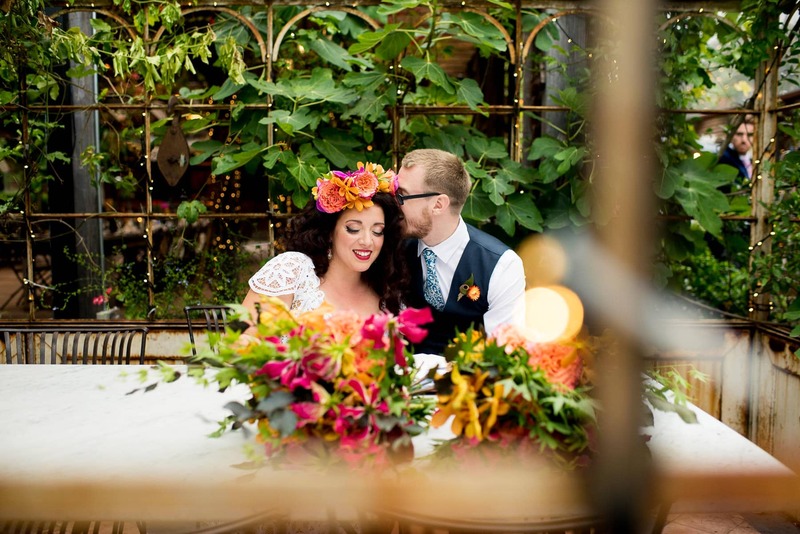 I don’t want to ruin the surprise for you, but let’s just say that after having shot so many weddings at the Grounds of Alexandria, I know some photo locations that you may not have seen before! 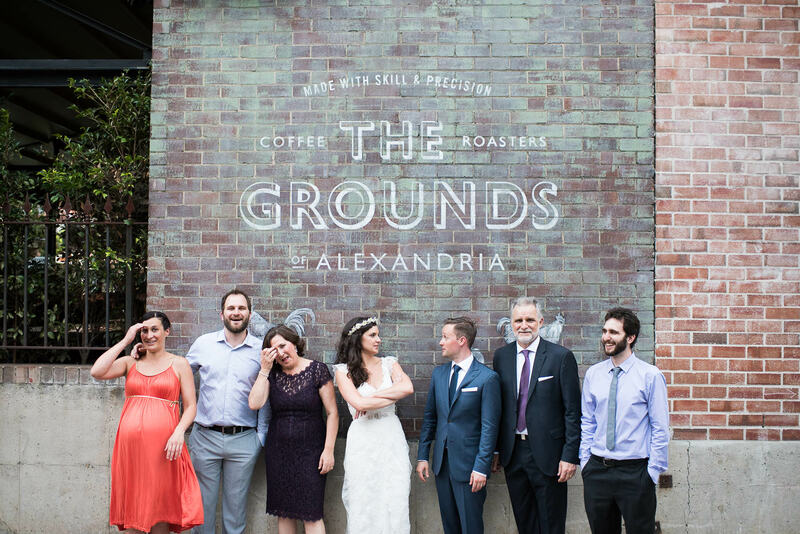 The Grounds of Alexandria has many unique spots for photo opportunities that are slightly more, let’s say, “off the Instagram radar”! Another great thing about the Grounds is that there always seems to be new design elements being added. 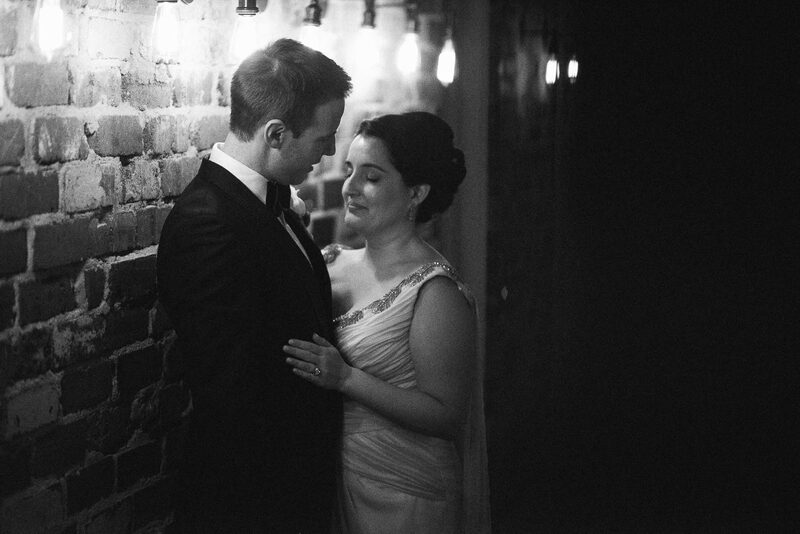 Even though I shoot there often, there’s always something new to include in my couples’ photos. Creatively speaking, I always try and push myself to create images that have never seen before at the Grounds of Alexandria. So if time allows it, let’s head away from the crowds for a couple of minutes and get some wedding photos making full use of the grounds of the Grounds of Alexandria! 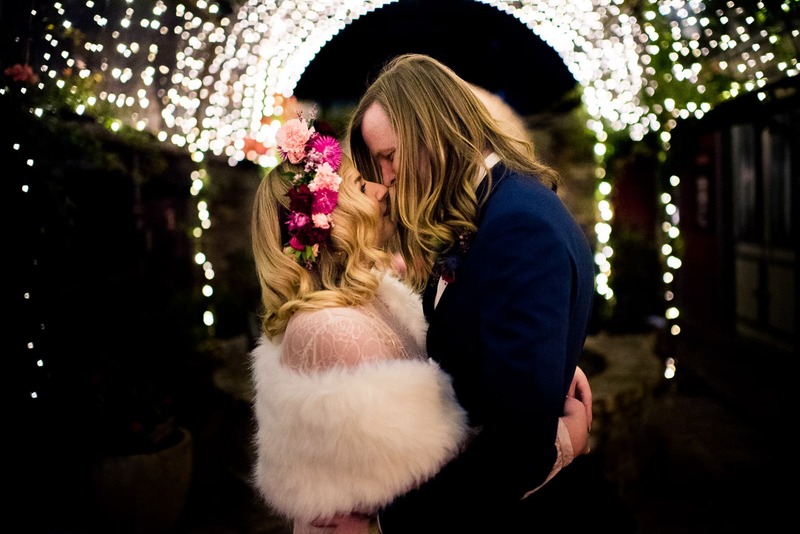 I hope you enjoyed this round up of the reasons why I love taking wedding photos at the Grounds of Alexandria. 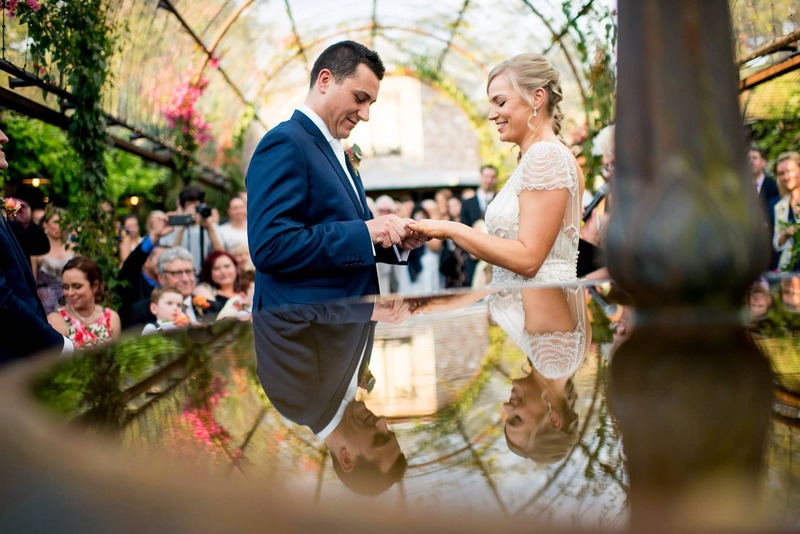 If you’d like to enquire about wedding photography availability for your wedding at the Grounds or any other location in Australia or worldwide, click here to get in touch with me today.